The following essay originally appeared in the January 2014 issue of Speed Magazine. What if we had robots? What if we had robots when Yolanda (Haiyan) struck? Imagine a quadripedal military robot carrying medical and survival equipment, helping residents evacuate, carrying loads surpassing the weight our own soldiers can feasibly carry. Imagine a bipedal robot swimming against the current and pulling survivors to safety, or else digging through the rubble and pulling out the dead so the bodies can be reunited with their surviving loved ones. Imagine little insect-like robots suturing wounds and applying gauze. Sounds fantastic, but even a storm the size and strength of Yolanda seemed far-fetched, until it wasn’t. Robots figure prominently in the world of Project 17, the science fiction novel I wrote in 2012 and which was published and released by Visprint in September 2013. In February 2013, I saw this article which said that Francis Tolentino, chief of the Metro Manila Development Authority, is thinking of having “robot traffic enforcers”. “The Robocop will spell the end of the kotong cops,” he says. I shared this with my publisher, amused, because this was what I was thinking when I started writing the novel. Corruption is an insidious, perpetual problem in this country. Its roots run deep. Every single one of us has been touched by a form of it, from the petty (traffic cop asking for “pang-meryenda” with a smile and a knowing wink so he won’t write you a ticket) to the systemic (politicians who had managed allegedly to appropriate billions of pesos of taxpayers’ money). Some of us have even been participants, handing over that hundred-peso-bill just so we can shift gears and go on with our day. Humans are fallible. They have desires and motivations, connections and limitations. Why do cops ask for bribes? We can consider several factors: 1) they are underpaid; 2) they have family with needs that exceed the salary they can bring home; 3) the system allows it (i.e. they can get bribes without legal repercussions due to poor monitoring and public participation – some people actually offer it to wiggle out of tough situations). Now, let’s go back to Mr. Tolentino’s robot traffic enforcers. You can’t bribe a robot. You can’t “appeal” to its good nature. It won’t be moved by your tears, and they won’t complain to you about their poor salary. Actually, they don’t have salaries, same way your cell phone is not on your payroll despite the fact that it works so hard for you. Will having these robots lower the rate of corruption? Maybe? Maybe it can improve traffic, make those buses waiting for passengers move along faster on EDSA. But consider the hurdles before we can even get such a project approved. Who will build it for us? How do we go about bidding the project to private entities? Remember the government’s $329-million National Broadband Network (NBN) deal with China’s ZTE Corp.? The project, which aimed to link government offices throughout the country, was alleged by whistleblowers to be overpriced (in the hundred millions) to cover kickbacks. It was eventually scrapped. The path to a world without corruption is, well, paved with corruption. Technology is a tool. It can negate our fallibility, or magnify it. Advances in medicine such as minimally invasive surgeries now equip doctors with the technical and technological ability to remove kidneys through a single tiny incision, while the availability of the semi-automatic assault rifle (among other factors) gave us the heart-wrenching tragedy of Sandy Hook. What will stop politicians from accepting bribes so our hypothetical quadripedal military robots will reach certain families first? What will stop them from sticking their names on the face of our fantastic bipedal robot? From making the robot surgeons turn away women seeking post-abortion care because abortion is a sin? A high GDP and technological advancements will mean nothing if we – and our officials – continue to act without conscience and compassion. Robots can’t help us there. Only our humanity can save us. 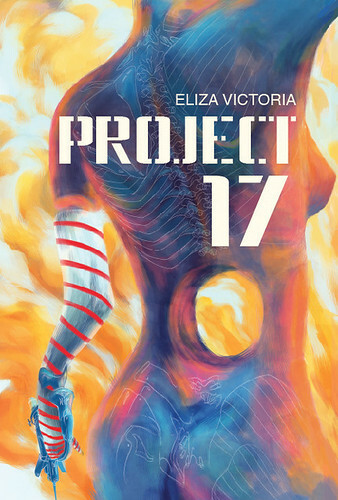 Eliza Victoria is the author of the short story collection A Bottle of Storm Clouds and the science fiction novel Project 17, both published by Visprint. Visit her at http://elizavictoria.com. For more information about Project 17, please click here. This entry was posted in essay, project 17, visprint. Bookmark the permalink.